for $1,500,000 with 4 bedrooms and 4 full baths, 4 half baths. This 4,339 square foot home was built in 2004 on a lot size of 2.30 Acre(s). BEACHFRONT / CREEKFRONT SPLENDOR!! Arhictecturally designed & custom built fine home overlooking Edingsville Beach & Jeremy Inlet. Every feature is First Class with no details overlooked. Stunning Beach & Water views from every room. 2 miles of secluded, golf cart-friendly beach to enjoy in secure privacy. Three stories of flawless architectural heaven with all the modern amenities you could desire. (A complete feature list is available). Adjoining Lot w/Dock in Scott Creek is included. THIS METICULOUSLY CRAFTED ESTATE IS A TRUE SHOW-STOPPER! 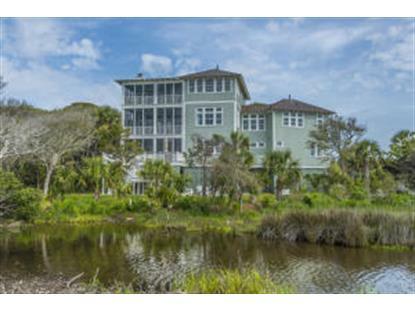 IT OFFERS AMAZING VIEWS OF OCEAN/OCEAN/BEACH/CREEK/INLET FROM A DUE SOUTH AXIS! RARE BEACHFRONT PRIVACY ON TWO AMPLE LOTS! INDISPUTABLE VALUE AND LUXURY!TRULY THE BEST OF THE BEST! !